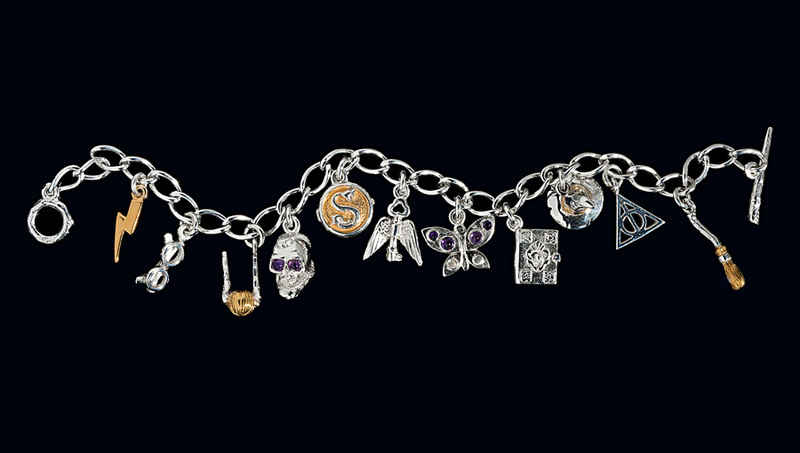 On Tuesday 10th December, the Lumos Maxima charm bracelet sold at Sotheby’s London for £20,000 in aid of J.K. Rowling’s children’s charity Lumos. Based on designs by J.K. Rowling, inspired by her Harry Potter books and handcrafted by Edinburgh jeweller Hamilton & Inches, the charms were cast in sterling silver before being finished by hand with gold highlights and precious stones, eleven in total, with a twelfth, the wand acting as a fastener. “J.K. Rowling said before the auction that she was certain the sister bracelet would go to a very nice woman, and she can be confident the bracelet will be treasured by Yvonne and my family for generations. “My wife absolutely adores the Harry Potter series and she now can’t wait until Christmas day to open her present.